The changes were supposed to reduce the unacceptably high rate of preventable workplace injuries and deaths (our rates are six times that of the U.K.) but instead, the Government is actually reducing the requirement for Health and Safety Representatives at workplaces, instead of fixing the law. They are removing this vital safety check from all businesses with under 20 staff, even if the employees request one, except for ‘high-risk’ industries. How can this be?! The Government has categorised industries according to figures for workplace deaths and accidents since 2008. But the way industries are grouped seems suspicious – ‘cattle farming’ is separate from ‘other livestock farming’ for example. We know that farmers are just one of the groups who lobbied the Government to water down the bill. And it is not clear at all how the industry categories and statistics have been put together. The only health industry listed is ‘Pharmaceutical and Medicinal Product Manufacturing’ under ‘Potential for Catastrophic Risk’ (!). It is absurd that the Government has missed all other kinds of health work when, for example, there is an average of one physical assault on staff every day at Capital and Coast District Health Board. It’s not dissimilar in other DHBs; Waikato DHB reported 85 physical assaults on staff and 132 total assaults in the first four months of this year. Nursing in challenging environments like prisons requires a very high level of skill and a high degree of personal risk. Any clinical health work can be physically challenging, with intense lifting, turning, and physicality, as outlined in our last blog on nurses’ health and safety. Finally, not all workplace harm gets accurately recorded as an ‘injury’. High stress and workloads are recognised as common workplace hazards that cause physical and mental harm if not managed properly. Environments like hospices, oncology units and crammed emergency departments all have the potential to pose high risks to staff well-being. It’s never going to be possible to eliminate every risk to health and safety. Health and safety depends on many different elements that are unique to each workplace. That’s why Health and Safety Representatives are so important for all workplaces. Bending to the will of powerful lobbying interests will always result in wacky outcomes, but there is a simple answer that makes sense: one health and safety law for all. Tags: health and safety, Health and safety representative, health politics, risk | Permalink. 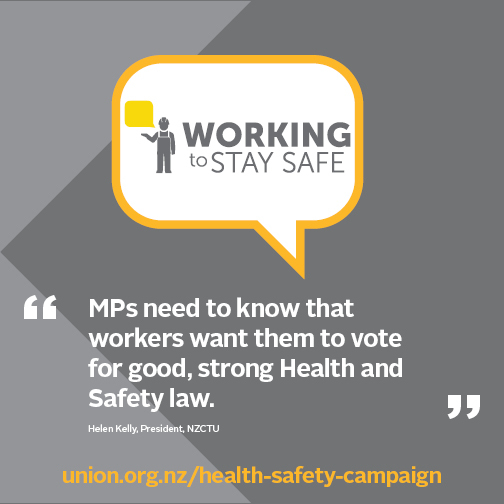 You’ve probably heard a lot in the news recently about the Government’s back-track on improving health and safety laws. After the Pike River tragedy the Government promised to improve health and safety legislation – so that no family would ever need to have the police turn up and tell them that their loved one was killed on the job – but instead they’re doing the opposite. We speak to a nurse about what health and safety means to her. Why does Health and Safety mean so much to you as a nurse? Firstly, for us in hospitals, I know lots of colleagues that have had accidents at work, twisted knees and backs from lifting. There’s an immediate loss of earnings for that person, they’re down to 80 percent of their earnings on ACC, because our DHB doesn’t top them up, unless we use our sick leave allowance. And then someone on ACC isn’t usually replaced with another staff member, so we get short on the wards. The first thing to go is meal and tea breaks. Nurses are terrible about working through without taking a break and just running between patients. Then, they’re likely to have more accidents because they are rushing, or even make medication errors or errors of judgement. So it starts having an impact on patient care too. And care rationing definitely happens when you have a staff member off injured. That’s when you decide what is going to keep people alive versus the best care you could give someone. Like, if you have someone who needs a shower, an elderly patient who hasn’t showered, giving that gentleman a shower might take 40 minutes, but you just can’t afford the time. Basic care like that could get missed. It’s so much easier to prevent accidents from happening than dealing with the flow-on effects of when they’ve happened. That’s why having effective Health and Safety strategies is so critical for everyone. Not just in big workplaces too but in all healthcare settings. You deal with workplace accidents when people come in as patients too, right? What people have to understand is that Health and Safety matters to nurses not just for our own workplace but because after a workplace death or accident, we have to come in to fix up the mess. It’s incredibly stressful dealing with a workplace death. When you clock off at the end of the day, it goes home with you. Every accident or death like that has ripples that go far afield and affect many people. And they come back to us too. Oh, nurses treat the aftermath of those things with grieving friends and family too, in areas like addiction or depression. Or even poverty, some whole families have to deal with the grief and being thrown into sudden poverty. And then they’re back in the health service with stress and diseases that wouldn’t have happened if their family member wasn’t killed or injured. It’s never just one person affected, and it’s health staff as well. It’s not just deaths, it’s accidents. Not everyone is covered by ACC so sometimes it’s a choice between their health and their income. When you see a bad employer that thinks workers lives don’t matter a lot it’s really disgusting and you know they think it’s going to cost less in dollar terms to just replace a killed or harmed worker than to invest in health. It costs the rest of us though, we pick up the tab. There was a case recently, a woman who worked for a really well known New Zealand company, one that’s won awards, that you’d think could do better. She’d hurt herself at work. The operation was the only chance to avoid a permanent disability, but it entailed time off. She told me that she couldn’t take time off because her boss wouldn’t keep the job open, and she wouldn’t get another one. She had a family to support and felt she had no choice. I’m pretty sure she would have gone straight back to work, and as a result of that will have an avoidable and permanent disability. Do you have a message for the Government about the Health and Safety Reform Bill? ‘Yeah but you can’t print it! No, seriously, good health and safety reps can prevent these kinds of accidents when the attitude to them is positive and constructive and management takes them seriously. The Government has to give the message that they’re important and can’t be removed if they’re a ‘nuisance’ to bad management. We have to look at workplaces where they have health and safety committees that work and where there is a good record of improvement. What works is when unions and workers and employers are doing it right and engaging together. We didn’t have to lose all those lives and Pike River and we shouldn’t be losing any more in other industries now. Everyone has a responsibility. Tags: health and safety, health politics, safe staffing | Permalink. Many DHBs have been talking about forcing staff who don’t get the flu vaccination to wear masks. It’s one of those things that on first glance might seem like a good idea, but peel back a few layers and you’re left with the bitter taste of a purely punitive measure. NZNO acknowledges the right of every person to vaccinate or not. We encourage it, of course; to the extent that we pay for our own staff to get the flu vaccination if they choose to. Healthy workplaces are a priority. We believe education and access are key to improving uptake but we do not think mandatory vaccination is the way forward. DHBs want safe environments for their staff and patients too and we applaud that. What we’re saying is the DHBs are grabbing onto a “solution” that’s not evidence-based and seems to be designed to shame individuals rather than keep staff and patients safe from the flu. We do not support the use of face masks to protect patients from unimmunised nurses. For one thing, masks don’t work. Evidence shows masks are ineffective in protecting healthcare workers from patients with flu; so why do DHBs think the opposite would be different? For another – a nurse with the flu would only be able to pass it on to a patient or colleague if he or she was at work. Nurses should not be working, or be made to feel that they should have to be at work, when they are sick. DHBs need to make sure enough staff are available to cover the inevitable rise in sick leave during “flu season”. And it’s not just nurses. There must be clear information for patients, staff, contractors and visitors that sick people should stay away. 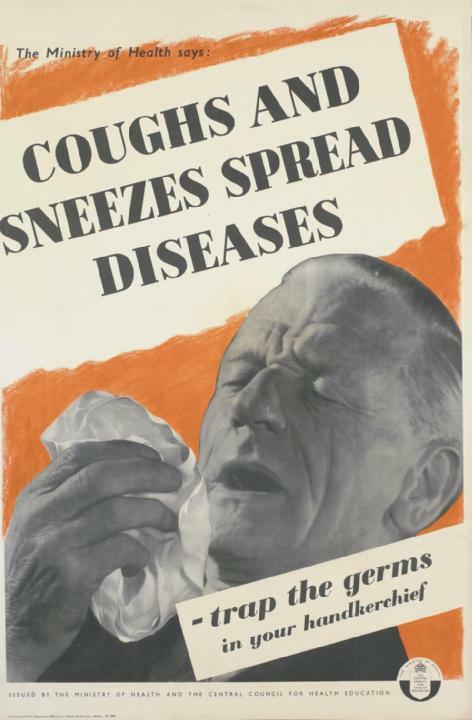 DHBs should also be promoting good hand washing and the use of tissues for coughs and sneezes. Our motto is “Freed to care, proud to nurse” and we want that for every single NZNO member. Please don’t hesitate to give us a call if you are being treated unfairly 0800 28 38 48. Here is NZNO principal researcher, Dr Léonie Walker’s analysis of the evidence for and against masks to protect against flu. Health care workers have long relied heavily on surgical masks to provide protection against influenza and other infections. Yet there are no convincing scientific data that support the effectiveness of masks for respiratory protection. The masks we use are not designed for such purposes, and when tested, they have proved to vary widely in filtration capability, allowing penetration of aerosol particles ranging from 4 to 90%1. The efficacy of any respiratory device depends on user compliance. Workers’ tolerance for wearing most types of respiratory protective devices is poor and often declines over the course of a work shift; in one study, no more than 30% of workers tolerated these devices consistently throughout an 8-hour workday, citing difficulties with speaking and communication, discomfort, and other physical problems2. The Institute of Medicine committee has recommended that current Centers for Disease Control and Prevention guidelines for respiratory protection be maintained3. Until more data are available, the Institute of Medicine committee recommended the use of personally fitted, N95 respirator when confronting patients with influenza-like illnesses, particularly in enclosed spaces4. 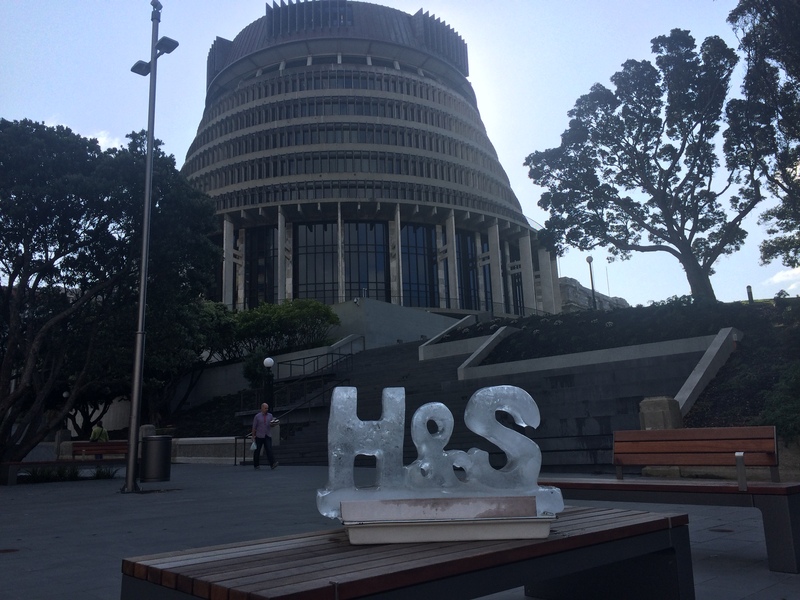 Tags: DHB, discrimination, evidence, flu, flu vaccination, health and safety, masks, public health, respiratory protection, safe staffing | Permalink. 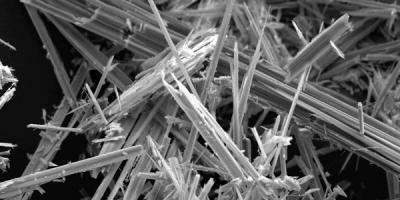 Asbestos is the single greatest cause of work-related deaths in New Zealand. The government estimates that 170 deaths occur a year from asbestos-related diseases in New Zealand and that this will rise to over 300 as the results of the ‘asbestos boom’ of the 1970s take their toll. That’s as many as the current road toll. Even 170 is double the number of workplace deaths per year from injury – which itself is far too high, several times other countries such as the U.K. and Australia. These conditions are irreversible and the treatment options are only palliative. According to the World Health Organisation, no level of exposure to asbestos is safe, and this has been known at least since a declaration by the World Health Organisation in 1986. The World Health Organisation says that “the most efficient way to eliminate asbestos-related diseases is to stop the use of all types of asbestos”. Asbestos fibres, once breathed in, can stay in your body for decades before signs of disease show. Asbestos can cause serious diseases including asbestosis, pleural thickening, mesothelioma and cancers of the lung, larynx and ovary, anything from 10 to 50 years after exposure to it. Ask any nurse who works with patients suffering from the diseases caused by asbestos and they will tell you in no uncertain terms that we must get rid of it, now! That’s not going to happen overnight but in the meantime, we must have much better protection and training for people working with asbestos or who might be exposed to it. We urgently need to ban the import, supply and new use of any products containing asbestos; and create and implement a plan to eradicate asbestos from the built environment by no later than 2030. The NZ Council of Trade Unions is leading the work to achieve a ban and a plan for asbestos, and we wholeheartedly support the campaign. A healthy New Zealand can only happen when we take action against to stop preventable illness and death. Please take a moment to sign and share the petition to ban asbestos and implement a plan to remove it from our environment. Tags: asbestos, ban, health and safety, petition | Permalink. NZNO members at Nelson Hospital have had their voices heard. 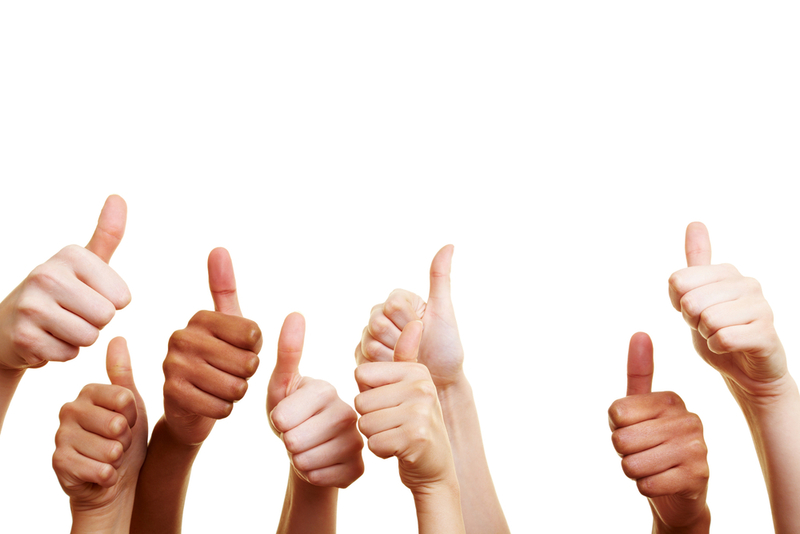 They have successfully advocated for quality patient care and a safe environment for staff. ED staff have been concerned for some time that their work is being compromised by a lack of staff, and all the flow on effects of that situation. Reportable events about staffing levels had been logged but no action taken. NZNO College of Emergency Nurses guidelines for nurse/ patient ratios were not being met and nursing staff were concerned about the potential for breaches of the Health and Disability Commission code of patient rights. The ED was experiencing an increased number of high acuity patients and Government targets were not being met. Staff vacancies were not being filled in a timely way and staff were worried that more vacancies were coming up. Annual leave requests were being turned down and staff were becoming more and more stressed and fatigued. They were overworked and overwhelmed. It’s pretty hard on morale if you work in an emergency department and you don’t have the resources to deal with an emergency! It’s often difficult to see the wood for the trees when you’re feeling like that, so it is a testament to the courage and wisdom of NZNO members that they made a decision to do something about it, and then followed through. A meeting with the Director of Nursing and Midwifery and the Nelson Associate Director of Nursing was called and members told their stories one by one. It was a powerful and moving meeting. Staff were honest, passionate and resolute that the situation needed to change. That was 2 weeks ago. Within 2 days the numbers had been crunched and ED staff were notified that an extra 2.14FTE had been approved and were being advertised. In the interim, casual staff are being used to ease the workload. It’s a great outcome, and one that only happened because NZNO members worked collectively to address their concerns. When we stand together we are heard. Ehara taku toa i te toa takitahi. Engari, he toa takitini. Success is not the work of one, but the work of many. Tags: advocacy, collective action, funding cuts, health and safety, Nelson hospital, safe staffing, Stress | Permalink. Two great things happened yesterday that have the potential to eliminate some of the harm caused by domestic violence. The PSA launched a piece of research that shows how much domestic violence costs business, and Green MP Jan Logie launched a bill that entitles victims of domestic violence to be supported at work. The PSA research shows that domestic violence costs businesses a conservatively estimated $368 million per year. The author of the research, Suzanne Snively said at the launch that domestic violence impacts greatly on businesses right around the country. Victims of domestic violence are often stalked and abused at work, and what’s happening to them and their children at home means that they just can’t work as productively as they would if they were living free of fear and violence. She said that if businesses supported their employees to deal with domestic violence, there would be significant savings to be made by reducing recruitment and induction costs and by raising productivity. Jan Logie said at the launch of her Bill that victims of domestic violence often lose their jobs because they may not be able to focus on their work, are unable to show up to work, or are stalked by their abusers while at work. Her Bill would work by allowing any employee, no matter where they work or what they do, to take leave to keep themselves and their children safe. Being able to stay in employment while they find safety for themselves and their children is important for victims. And for employers, supporting workers to become safe and violence free has a positive impact on workplace culture as well as dollar returns from increased productivity and decreased staff turnover. clarify that domestic violence is a hazard in the workplace that needs to be managed like other hazards. As Jan Logie said, the Bill is a win win win situation! It’s a win for victims of domestic violence, it’s a win for our society and it’s a win for businesses. Here at NZNO, we know that with 93 percent of our 46000 members being women, thousands of us will experience domestic violence sometime in our lives, and that some will be experiencing it right now. Others will be witnessing its negative impact on health in their everyday practice. We are committed to supporting any initiative that will make working life better for our members. We are committed to improving the health and well being of society and its citizens. We commend the PSA and Jan Logie for their work to make our society safer and more tolerant. 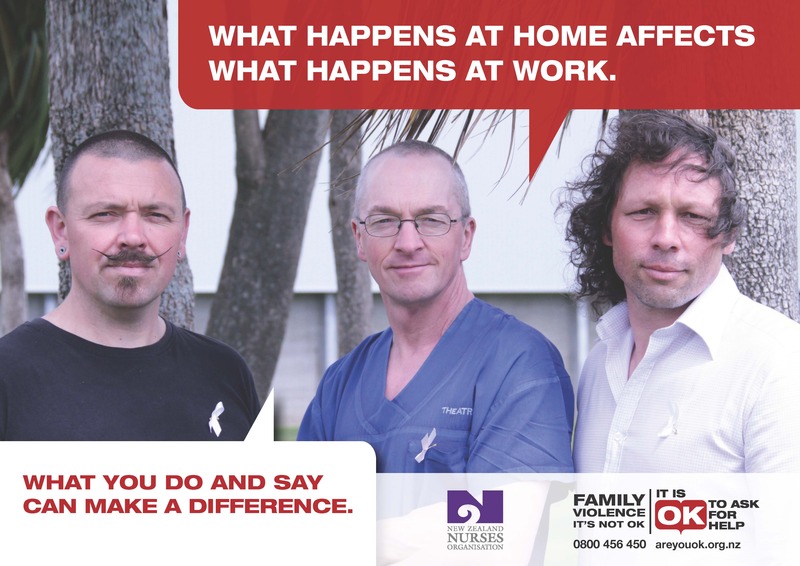 The poster above features NZNO men making a stand against family violence. Thank you Kieran Monaghan, Simon Hathaway and Gary Swift. Tags: discrimination, domestic violence, family violence, health and safety, Jan Logie, PSA, public health | Permalink. Katrina Hopkinson: Pay Equity – Why should nurses have to struggle?